The CM had released the clip last Friday. Kumar asked the JD(S)-Congress coalition government to set up an SIT to investigate the clip carrying a purported conversation in which a bribe of Rs 50 crore to him to facilitate poaching of ruling MLAs was allegedly discussed. 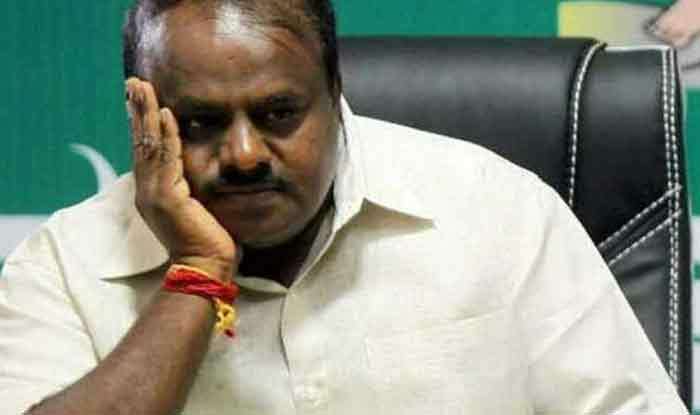 The controversial audio clip was released by Chief Minister H D Kumaraswamy on Friday and the conversation was allegedly between Bharatiya Janata Party’s state president Yeddyurappa and JD (Secular) MLA Nagangouda Kandkur’s son Sharanagouda. In the clip it had been alleged that MLAs could resign without any fear because speaker Ramesh Kumar had been paid Rs 50 crore. Since the issue pertained to him, Kumar raised it in the Assembly when it convened on Monday. For over two hours, legislators from the Congress-JD(S) alliance and Opposition BJP argued about the limitation of privilege of the House. Arguing that a judicial probe, as suggested by the BJP, would take time, Kumar sought an SIT probe with the report being submitted in 15 days. “Considering the incidents that have come to light, since your name has been dragged into this, I am more than willing to order a probe by a SIT to not just protect the respect of the chair but to also put an end to the low opinion the public seems to have about lawmakers,” the CM was quoted as saying by a daily. On his part, Yeddyurappa has accepted that he had met Sharanagouda and they had held discussions.